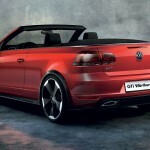 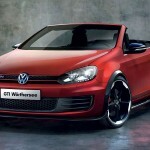 As well as revealing its Golf R Cabriolet concept at the 2011 Wörthersee Treffen, Volkswagen has just unveiled this, the Golf GTI Cabriolet concept. 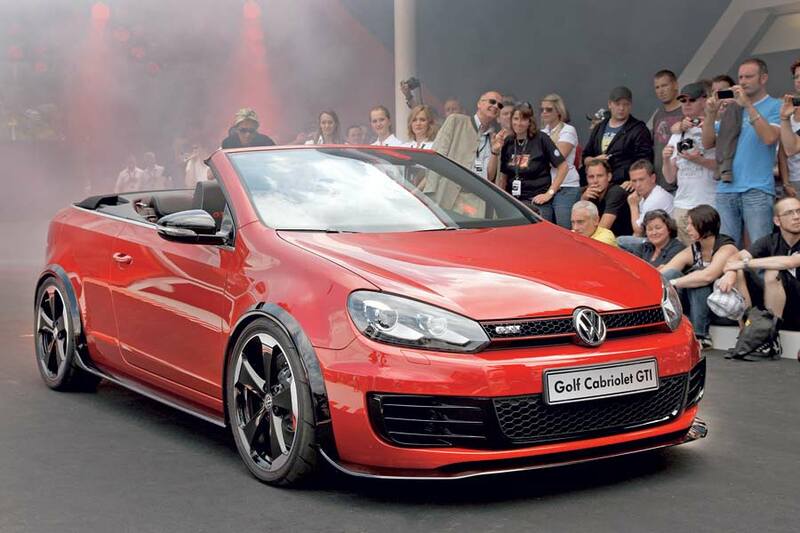 As you’d expect, the cabriolet is powered by the same 210 PS 2.0 TSI engine, as seen in the tin-topped GTI, with similar performance: a 0-100 km/h (62 mph) time of around 7 seconds and a top speed approaching 240 km/h (148 mph). 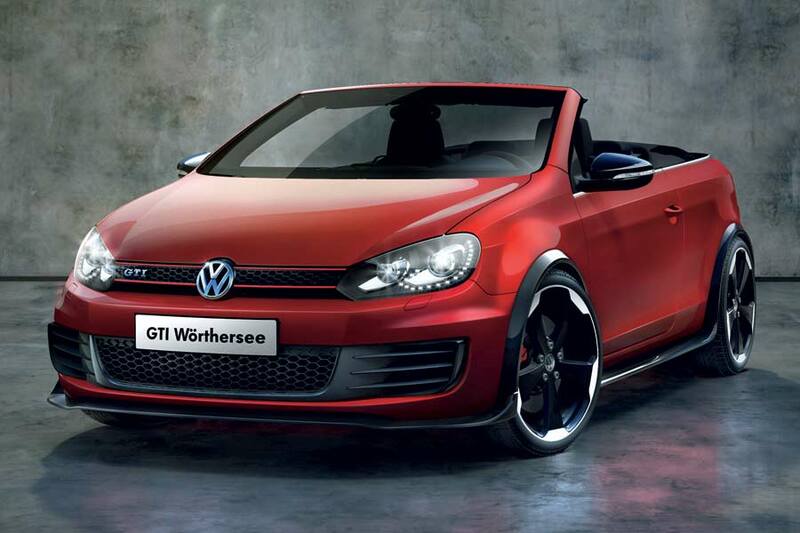 We’re loving the ‘Firespark Metallic’ Red paintwork, and feel it really works with that aggressive splitter, and those arch and sill extensions. 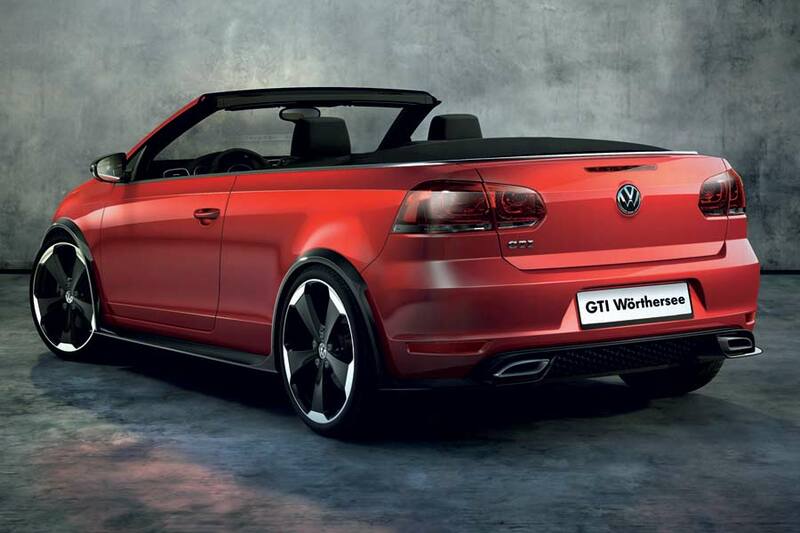 The slammed ride-height is achieved thanks to the addition of coilover suspension.